KUOM is a student-run non-commercial educational radio station, licensed to the University of Minnesota Twin Cities in Minneapolis. The station's programming, branded as Radio K, was recognized as the "best radio station of the Twin Cities" in 2010, 2013, and 2015 by City Pages editors. "Do it yourself" ("DIY") is the method of building, modifying, or repairing things without the direct aid of experts or professionals. 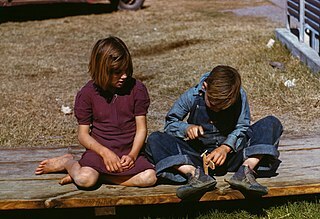 Academic research describes DIY as behaviors where "individuals engage raw and semi-raw materials and parts to produce, transform, or reconstruct material possessions, including those drawn from the natural environment ". DIY behavior can be triggered by various motivations previously categorized as marketplace motivations, and identity enhancement. Kill Screen was a print and online magazine founded in 2009 by Jamin Warren and Chris Dahlen and owned by Kill Screen Media, Inc. It focused on video games and culture, but also included articles based on entertainment. The name is based on the infamous video game term of the same name. Some publications  have cited Pitchfork in having played a part in "breaking" artists such as Arcade Fire, Sufjan Stevens, Clap Your Hands Say Yeah, Interpol, The Go! Team, Junior Boys, The Books, Broken Social Scene, Cold War Kids, Wolf Parade, Tapes 'n Tapes, and Titus Andronicus although the site's true impact on their popularity remains a source of frequent debate. The Pitchfork Music Festival was held again in 2007. It was expanded to three days (Friday, July 13 – Sunday, July 15), with the first day being a collaboration between Pitchfork and the British music festival All Tomorrow's Parties as part of the latter's "Don't Look Back" series, in which seminal artists perform their most legendary albums in their entirety. Performers that evening included Sonic Youth playing Daydream Nation , Slint playing Spiderland , and GZA/Genius playing Liquid Swords . Some of the other artists who performed over the weekend included Yoko Ono, De La Soul, Cat Power, The New Pornographers, Stephen Malkmus, Clipse, Iron & Wine, Girl Talk, Of Montreal, Deerhunter, Dan Deacon, The Ponys, and The Sea and Cake. Since 2011, a European winter edition of the festival takes place in Paris. Individual track reviews were formerly ranked from 1 to 5 stars, but on January 15, 2007, the site introduced a new system called "Forkcast". In it, instead of assigning tracks a particular rating, reviewers simply label them one of the following categories: "New Music", "Old Music", "Video", "Advanced Music", "Rising", "WTF", "On Repeat" (the category of their most favorably regarded songs), and "Delete" (for the least favored songs). As of 2009 [update] , the site had officially removed this system, opting to instead simply review tracks, while giving some a label of "Best New Track". ↑ The 1998 albums list was published in February 2018 as a retrospective. 1999 was the first year that Pitchfork published a regular year-end albums poll. 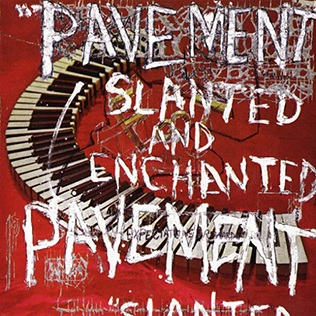 Slanted and Enchanted is the debut studio album by American indie rock band Pavement, released in April 1992 on Matador Records. The Milk-Eyed Mender is the debut studio album by American singer-songwriter Joanna Newsom, released on March 23, 2004 on the Drag City label. You Forgot It in People is the second studio album by Canadian indie rock band Broken Social Scene, released on October 15, 2002. It followed Feel Good Lost, and was the band's commercial breakthrough. You Forgot It in People features intricate, experimental production techniques and a large number of instruments coinciding with the band's vastly expanded size. Local hype for the album was so big that initial pressings sold out quickly, causing the need for a 2003 reissue. Twin Cinema is the third studio album by Canadian indie rock group The New Pornographers. It was released on August 23, 2005. The album was shortlisted for the 2006 Polaris Music Prize. As of 2010 it has sold 138,000 copies in US and 20,000 copies in Canada. The National is an American rock band from Cincinnati, Ohio, formed in 1999. The band consists of Matt Berninger (vocals), Aaron Dessner, Bryce Dessner (guitar), Scott Devendorf (bass) and Bryan Devendorf (drums). The discography of Modest Mouse, an American indie rock band, consists of six studio albums, six extended plays, two compilation albums, four lo-fi cassette releases, one live album, twenty-five singles, and nine reissues. Three of their releases have been certified at least Gold by the Recording Industry Association of America (RIAA) for shipments in excess of 500,000 copies; one of these releases has further been certified Platinum, for shipments in excess of 1,000,000 copies. "Lost in the World" is a song by American hip hop recording artist Kanye West from his fifth studio album, My Beautiful Dark Twisted Fantasy (2010). The song features vocals by Justin Vernon of indie folk band Bon Iver, as well as sampling his 2009 song "Woods". It also contains portions of "Soul Makossa" written by Manu Dibango, and samples of "Comment No. 1", performed by Gil Scott-Heron. It was produced by West and Jeff Bhasker, who wrote the track with Vernon and Malik Jones. "Lost in the World" was initially leaked on September 29, 2010 and was 6 minutes and 4 seconds long. The version on the album was split up into two parts, with the outro becoming a new track entitled "Who Will Survive in America". Bon Iver is an American indie folk band founded in 2006 by singer-songwriter Justin Vernon. The name "Bon Iver" derives from the French phrase bon hiver, taken from a greeting on Northern Exposure. Justin DeYarmond Edison Vernon is an American singer, songwriter, producer and multi-instrumentalist. He is best known as the primary songwriter and frontman of indie folk band Bon Iver. Vernon is also a member of the bands Volcano Choir, Big Red Machine, The Shouting Matches, and Gayngs. He was previously a member of the now-defunct band DeYarmond Edison. 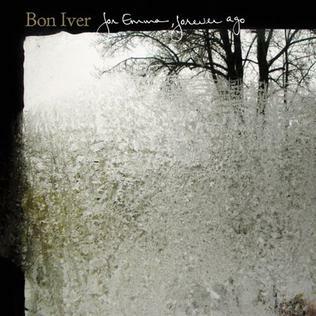 For Emma, Forever Ago is the debut studio album by American indie folk band Bon Iver. It was first self-released in July 2007, and later saw wide release on the Jagjaguwar label in February 2008. The album is principally the work of singer-songwriter Justin Vernon. Whilst living in Raleigh, North Carolina, Vernon fell ill with mononucleosis and a liver infection, and grew frustrated with his songwriting and life. He left Raleigh and drove to his father's remote hunting cabin an hour northwest of his hometown, Eau Claire, Wisconsin, hoping to be alone. Blood Bank is a 2009 EP by Bon Iver. It was released on January 20, 2009, and features four tracks, three of them recorded for the release. The EP is a follow-up to the band's award-winning debut album For Emma, Forever Ago, self-released in 2007 by Bon Iver frontman and founder Justin Vernon, and re-released in 2008. Bon Iver is the second studio album from American indie folk band Bon Iver, released on June 17, 2011. The album is composed of 10 songs and was seen as a new musical direction for the band. 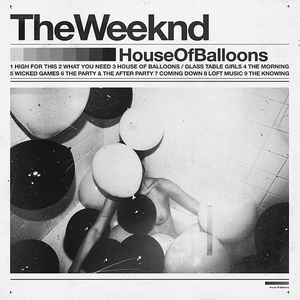 House of Balloons is the debut mixtape by Canadian singer The Weeknd. It was released as a free download on March 21, 2011, by XO. The mixtape was also released on his official website. Its music incorporates electronic and urban genres, including R&B and soul, along with trip hop, indie rock and dream pop tones. The contributions to the mixtape's production came from Canadian record producers such as Doc McKinney, Zodiac and Illangelo, among others. "Holocene" is a song by American indie folk band Bon Iver. It was released as the second single from their album Bon Iver, Bon Iver on September 5, 2011. The single is backed with a cover of Peter Gabriel's song "Come Talk to Me" as a B-side, which was previously released as a limited edition song for Record Store Day. The song was named one of the best songs of 2011 by various music publications. It was nominated for Song of the Year and Record of the Year for the 54th Grammy Awards, and is featured in the Cameron Crowe film We Bought a Zoo, Zach Braff's film Wish I Was Here, and the 2014 film The Judge. New History Warfare Vol. 3: To See More Light is the fourth studio album by Canada-based saxophonist Colin Stetson, released by Constellation Records in 2013. It is the final part of a trilogy of albums that also encompasses New History Warfare Vol. 1 (2007) and New History Warfare Vol. 2: Judges (2011). American band Death Grips has released six studio albums, one compilation album, three extended plays (EPs), one mixtape, seven singles, eight promotional singles, three remixes, and 47 music videos. The band was formed by MC Ride, Zach Hill, and Andy Morin in Sacramento, California during the winter of 2010. In March 2011, they released their eponymous debut EP. Their mixtape Exmilitary followed a month later and was praised by contemporary music critics. Death Grips signed a record deal with Epic Records in early 2012 and their debut studio album The Money Store was released in April to critical acclaim, peaking at number 130 on the Billboard 200 chart. Because Epic Records would not confirm a release date for their second studio album No Love Deep Web before 2013, Death Grips self-released the album in October 2012. As a result of this and the ensuing conflict between the band and the record label, Death Grips was dropped by Epic Records. No Love Deep Web received positive reviews and peaked at number 2 on the Billboard Heatseekers chart. 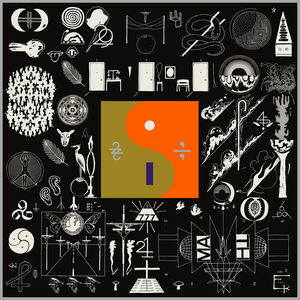 22, A Million is the third studio album by American indie folk band Bon Iver, released on September 30, 2016. It was recorded in Justin Vernon's April Base studio in Eau Claire, Wisconsin, and marked a shift in the band's sound, incorporating elements of electronic music and hip-hop production, and making extensive use of samples, synths, and effects. Vernon has stated that many of the sounds on the record were created and manipulated using a Teenage Engineering OP-1 synthesizer, along with software designed especially for the band by Chris Messina, dubbed the "Messina." ↑ "Pitchfork.com Traffic, Demographics and Competitors". Alexa . Retrieved October 3, 2018. ↑ Singer, Dan (November 13, 2014). "Are Professional Music Critics an Endangered Species?". American Journalism Review . Retrieved September 13, 2015. 1 2 Trachtenberg, Jeffrey A. (23 January 2019). "Condé Nast to Put All Titles Behind Paywalls by Year End" . Retrieved 24 January 2019– via www.wsj.com. 1 2 3 4 Freedom du Lac, J. 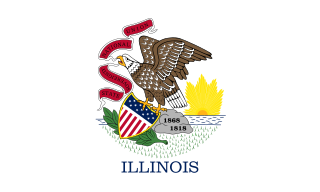 (April 30, 2006). "Giving Indie Acts A Plug, or Pulling It". The Washington Post . Retrieved April 27, 2017. ↑ "Pitchfork launches Altered Zones". Pitchfork Media. 2010-07-07. Retrieved 2013-05-30. ↑ "Pitchfork Announces Partnership With Kill Screen". Pitchfork. 21 May 2011. Retrieved 13 October 2016– via Condé Nast. ↑ "Altered Zones RIP". The Brooklyn Vegan. 2011-11-30. Retrieved 2013-05-30. ↑ "Welcome to Nothing Major". Pitchfork Media. 2012-12-26. Retrieved 2013-05-30. ↑ "So Long for Now". Nothing Major. 2013-10-16. Retrieved 2014-09-29. ↑ "Condé Nast Buys Pitchfork Media". The New York Times. Retrieved 13 October 2015. ↑ "Pitchfork Masthead". Pitchfork. Retrieved 2016-07-18. ↑ "Introducing Pitchfork's New Website: Our first full redesign since 2011". Pitchfork Media. 2016-03-13. Retrieved 2016-03-15. ↑ "MCA Talk: Jeff Tweedy". MCA. Retrieved 24 January 2019. ↑ "Mark Richardsonâ€™s Greatest Hits". Pitchfork. Retrieved 24 January 2019. ↑ Kelly, Keith J. (18 September 2018). "Pitchfork founder Ryan Schreiber steps down as top editor" . Retrieved 24 January 2019. ↑ Brown, August. "Pitchforkâ€™s Ryan Schreiber shaped Internet music journalism and now leaves it behind". latimes.com. Retrieved 24 January 2019. ↑ Kot, Greg (May 8, 2005). "Pitchfork e-zine tells indie fans what's hot and not". The Honolulu Advertiser . Retrieved 2006-10-29. ↑ Staff, Time (June 2011). "Bon Iver's New Album: An Elusive Kanye West Collaborator Returns to His Emotional Roots". Time . Retrieved 2011-06-20. ↑ Staff, Time (June 2012). "Bon Iver". Time . Retrieved 2012-03-29. ↑ CR (June 2005). "Clap Your Hands Say Yeah Interview". Tiny Mix Tapes. Archived from the original on 2008-02-27. Retrieved 2008-02-02. ↑ "Site Traffic Information for www.pitchforkmedia.com". Alexa Internet . Retrieved 2006-10-29. ↑ Itzkoff, Dave (September 2006). "The Pitchfork Effect". Wired . Retrieved 2006-10-29. 1 2 Wilson, Loren Jan. "Statistics for the reviews database". pitchformula.com. Archived from the original on 2006-11-09. Retrieved 2006-10-29. 1 2 3 Thomas, Lindsey (June 14, 2006). "The Pitchfork Effect". City Pages. Retrieved 2006-10-30. 1 2 Matthew Shaer (28 November 2006). "The indie music site that everyone loves to hate". Slate Magazine. ↑ "The Joanna Newsom leak - Music - The Phoenix". thephoenix.com. Retrieved 17 October 2017. ↑ "Album Reviews: M.I.A. : Kala". Pitchfork Media. 2007-08-21. Retrieved 2011-01-30. ↑ Thomson, Paul (2007). "M.I.A. Confronts the Haters". Pitchforkmedia. Retrieved 2007-12-10. ↑ Nicholson, Rebecca (August 27, 2008). "Why Björk is right to stand up for female producers". The Guardian. London. ↑ Sasha Frere-Jones (6 February 2012). "M.I.A. Shouldn't Have Apologized". The New Yorker. ↑ Gustavo Turner. "M.I.A. Uses Pitchfork Tweets to Diss Pitchfork, Show Off Obama Ecstasy Pills Pic". L.A. Weekly. ↑ Cross, David (May 5, 2005). "Albums to Listen to While Reading Overwrought Pitchfork Reviews". Pitchfork Media. Retrieved 2006-10-30. ↑ "RichDork Media and Music Reviews and General Pretentiousness". Something Awful. 2004. Retrieved 2007-04-28. ↑ Whitmore, Dean. "Popdork Feature: The Dean's List". Sub Pop. Archived from the original on August 6, 2004. ↑ "Pitchfork Gives Music 6.8". The Onion. September 5, 2007. Archived from the original on September 11, 2007. Retrieved 2007-09-10. ↑ "David Shapiro Isn't Much Use to Anyone". Vice. ↑ Nelson, Mike; Murphy, Kevin; Corbett, Bill (2016-01-22). "Icebreaker | RiffTrax". 0:31:14. Retrieved 2017-02-27. ↑ Nagy, Evie (November 21, 2013). "Pitchfork to launch $19.96 print publication, The Pitchfork Review". Fast Company . ↑ "Introducing The Pitchfork Review". Pitchfork. November 21, 2013. Archived from the original on 2014-03-25. 1 2 Sisario, Ben (November 21, 2013). "With Pitchfork Review, a Music Site Plants a Flag in Print". New York Times . Archived from the original on 2013-11-25. ↑ Zara, Christopher (November 21, 2013). "Pitchfork Media Takes A Stab At Print With The Pitchfork Review: Can It Save Music Magazines?". International Business Times . Archived from the original on 2014-02-03. ↑ "Pitchfork Music Festival 2006". Pitchfork Media. August 2, 2006. Archived from the original on October 27, 2006. Retrieved 2006-10-30. ↑ "Pitchformula.com". pitchformula.com. Retrieved 17 October 2017. ↑ "British Sea Power: Do You Like Rock Music?". Pitchfork. Retrieved 2016-02-05. ↑ "Run the Jewels". Pitchfork. ↑ "Jet: Shine On". Pitchfork. ↑ "12 Rods: Gay? : Pitchfork Record Review". Archived from the original on 7 March 2008. ↑ "...And You Will Know Us by the Trail of Dead". Pitchfork. ↑ "Amon Tobin: Bricolage: Pitchfork Record Review". Archived from the original on 12 February 2008. ↑ "Bob Dylan: The Bootleg Series, Vol. 4: Live 1966: The Royal Albert Hall Concert: Pitchfork Review". Web.archive.org. Archived from the original on June 4, 2004. Retrieved 2014-08-14. ↑ "Bonnie "Prince" Billy: I See a Darkness: Pitchfork Review". Archived from the original on 23 August 2000. ↑ "Flaming Lips: The Soft Bulletin: Pitchfork Record Review". Archived from the original on 11 July 2007. ↑ "Radiohead: OK Computer: Pitchfork Review". Archived from the original on 3 March 2001. ↑ "Walt Mink: El Producto: Pitchfork Review". Archived from the original on 24 February 2003. ↑ "The Top 50 Albums of 2013". Pitchfork. Retrieved 2014-08-14. ↑ "The Top 50 Albums of 2014". Pitchfork. Retrieved 2014-12-17. ↑ "The 50 Best Albums of 2015 - Pitchfork". Pitchfork. ↑ "The 50 Best Albums of 2016 - Pitchfork". Pitchfork. ↑ "The 50 Best Albums of 2017 | Pitchfork". pitchfork.com. Retrieved 13 March 2018. ↑ "The 50 Best Albums of 2018". Pitchfork. ↑ "The Top 100 Tracks of 2013". Pitchfork. 2007-10-22. Retrieved 2014-08-14. ↑ "The 100 Best Tracks of 2014 - Pitchfork". Pitchfork. ↑ "The 100 Best Tracks of 2015 - Pitchfork". Pitchfork. ↑ "The 100 Best Songs of 2016". Pitchfork. ↑ "The 100 Best Songs of 2017 | Pitchfork". pitchfork.com. Retrieved 11 December 2017. ↑ "The 100 Best Songs of 2018". Pitchfork. ↑ "The Best Music Videos of 2015". Pitchfork. Retrieved 2014-12-17. ↑ "The Best Videos of 2016 - Pitchfork". Pitchfork. ↑ "The Best Music Videos of 2017 - Pitchfork". Pitchfork. ↑ "The Best Music Videos of 2018 - Pitchfork". Pitchfork.